THANKS FOR TAKING OUR QUIZ! 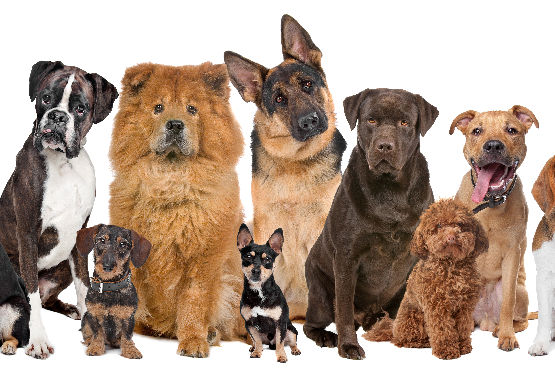 WE REALLY WANT YOU TO JOIN OUR COMMUNITY OF DOG LOVERS. OTHER PEOPLE JUST DON'T UNDERSTAND! WE PROMISE TO ONLY SEND INTERESTING CONTENT, VIDEOS, TRAINING TIPS, AND EXCLUSIVE DISCOUNTS. HOW CAN YOU MAKE AN IMMEDIATE IMPACT IN YOUR DOGS LIFE TODAY? MOST DOGS SPEND OVER 50% OF THEIR TIME RESTING. PROVIDING A REJUVINATING REST ENVIRONMENT CAN NOT ONLY ADD EXTRA COMFORT, BUT WILL BENEFIT THEIR JOINTS AND MUSCLES FOR LIFE. 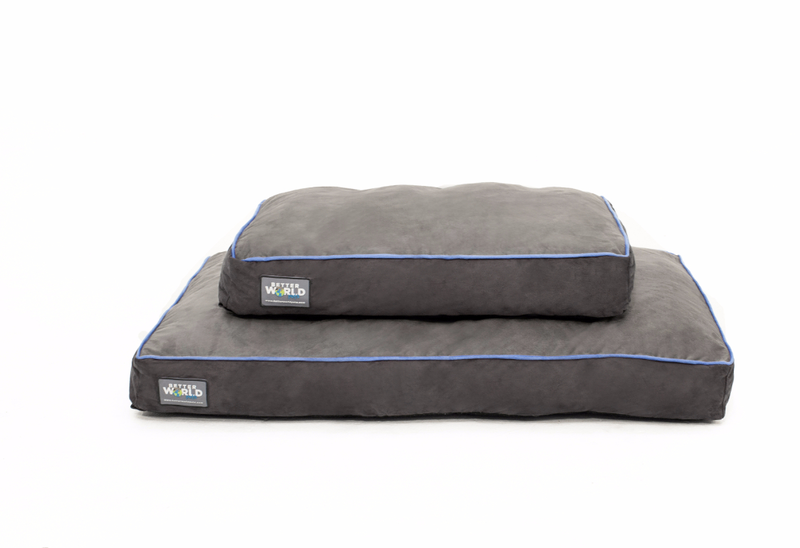 Better World Pets offers 3 different sizes of orthopedic memory foam beds for any size dog. The beds are over 5" thick of pure premium shredded memory foam. Our beds are waterproof and have a special non-skid material on the bottom to prevent the bed from sliding around. Our covers are twice as strong as most beds (180 gsm fabric) and completely removable and machine washable. 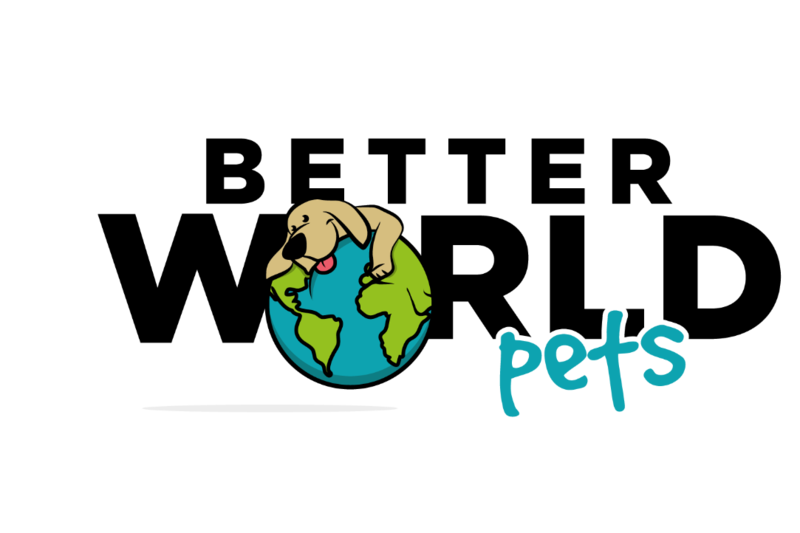 Best of all we donate 10% of our profits to the Humane Society! The problem with most "orthopedic" dog beds is they either do not have any memory foam, or the memory foam layer is only the top 2 or 3 inches of the inner mattress. The base of the inner mattress on most memory foam beds is made of egg crate style convoluted sheet foam. They do this to save money, but your dog loses the full benefits of memory foam. We make sure our mattresses are over 5" thick of pure shredded memory foam. Why is memory foam so important? 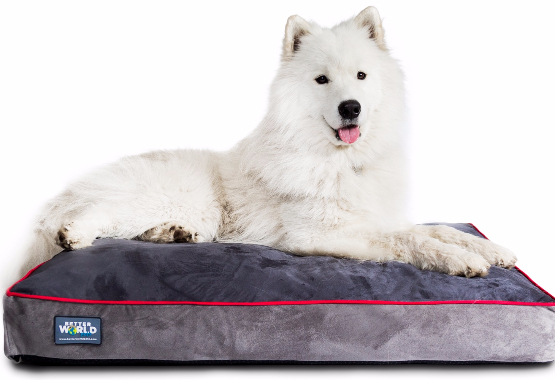 Memory foam is specially designed to contour around your dog's body and provide warmth to that area. By evenly spreading the pressure of your dog's weight it relieves joints that are normally stressed while standing or active. In order to provide proper support for a dog's full body weight, a bed needs at least 4 inches or more of memory foam. Jacob Hamilton, the owner of Better World Pets, watched his dog Jasmine suffer through joint pain and pancreatitis for several years. The pain of watching his best friend suffer inspired him to create and design our orthopedic memory foam dog bed. Knowing our customers are going through the same emotional pain, we designed every aspect of this bed with that in mind.